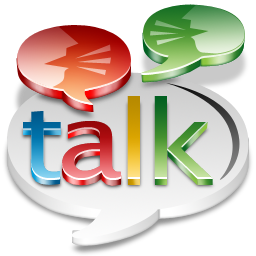 Google talk is an ultimate instant messagin g application which provides both text and voice communication. The google talk messenger is commonly known as ‘gtalk’ or ‘gchat’ by its users, though the name isn’t endorsed by google. The google talk app is a google branded app that is avaliable for Microsoft windows, Android OS, iOS device, Blackberry device and Chrome OS operating system. Google talk messenger offers real-time messenging service, which includes both offline messenging and voice mailing. With the google talk app, you can receive both chats and voice calls from various gmail users, and this doesn’t require google voice for voice mailing. Video chats are also included in google talk and this can be done between gmail users. The more reason I appreciate the google talk service is because it provides offline messenging between gmail users. The google talk app is very much compatible with most mobile device and it doesn’t has a specified text formatting, that is, you can use your mobile fonts for it. Where can I download Google talk app? · Download Google talk app for blackberry here. · Download Google talk app for Microsoft windows here. Hope this helps? I do advice you download the google talk app for your device because it’s a very useful app and it makes messenging very easy, faster and better. If you encounter any difficulty towards using the application, please do let us know and we won’t hesitate to redirect the problem to Google Inc, if it’s beyond our resolution.